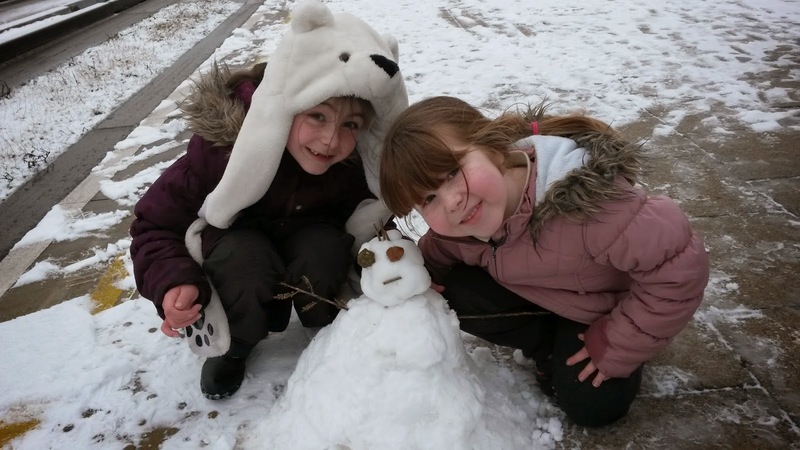 imwellconfused.me.uk: Fun: Do you wanna build a guided snowman? Fun: Do you wanna build a guided snowman? This morning we ran later than normal, possibly down to me on a goslow and the snow! (blame me here t'was my fault i think) So we're left with no choice but pop to the nearby guided busway to pick up a through bus for the school snow walk. On getting there the area was covered with mostly untouched snow, so naturally we played while waiting 19 mins for a bus, a welcome late bus for the girls. 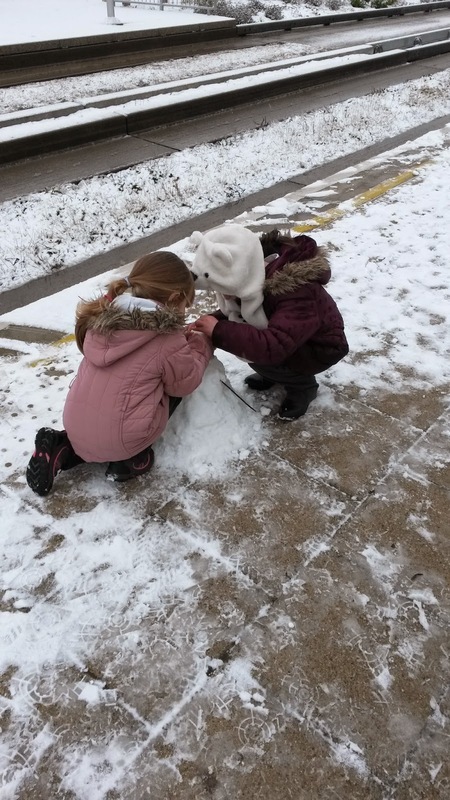 They decided to make a snowman, and i think they built a pretty good one in such a short time. But in the end both smalls bought a smile to many faces as a result, even if we were late for school . After all, fun is just as important as learning! Oooooo looks chilly! Sounds like they had a fun morning though. send the snow this way we are desperate for a snow day! You can have it with pleasure. It's been too icy to deliver bits on the bike to people! Nice school run! And well done daddy for encouraging the kids to have fun no matter the circumstances!